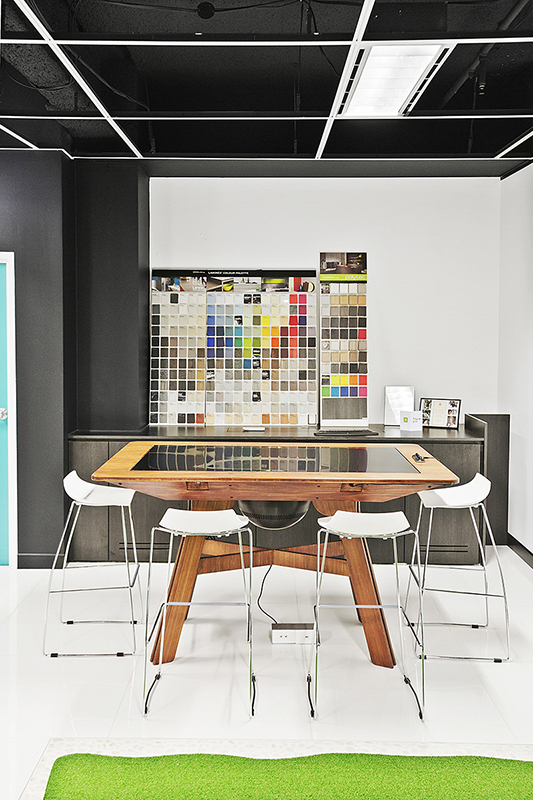 The modern office has an enthusiasm for open workplaces. They are great at fostering collaboration and communication. However, the need for quiet spaces in an office design has increased to cater to all employee needs and wellbeing. Designing an office with designated quiet spaces allows employees to make phone calls, hold meetings and escape office chatter without distraction. Quiet rooms should be open and uncluttered with minimal furniture to enhance focus and productivity. Integrating glass doors also creates privacy while maintaining visibility. If structural changes are not an option, using furniture to mimic the feel a of a private office can have the same benefits. Products like high back and side lounges such as the Benj or Hush paired with a small table creates an ancillary area as an alternative to an employee's primary workspace. Creating boundaries using walls or dividers within the open office defines private and focused individual spaces. Freestanding screens such as the Scape or Local screen allow employees to adjust their work setting to suit their needs without disrupting the overall design of the office. Walls and privacy screens maximise the potential of a space, absorb the cacophony and create a quiet havens. ACTIVITY BASED WORKING: THE ALTERNATIVE TO THE OPEN VS CLOSED OFFICES DEBATE? In last week’s blog, we discussed the advantages and disadvantages of open and closed plan offices. Although open plan offices have been the popularised choice over the last few decades, both strategies have their benefits and there isn't a one size fits all solution. Types of work performed by employees vary throughout the day and so does the environment they work in, from needing a quiet private space to concentrate to a collaborative space to brainstorm and think creatively. With this, the more flexible concept of Activity Based Working has emerged which aims to give employees the best working environment for the task at hand. What is Activity Based Working or ABW? Activity Based Working supports the idea that a work space should be based on the type of work or “activity” that is undertaken by an employee. Therefore, the workspace should be designed accordingly and foster a number of varied spaces that allow for different activities to be performed at their best. For certain tasks employees will need to think creatively, for others they will need to collaborate and others to concentrate without any distractions. ABW implies that employees no longer have their own desk and become mobile, choosing their desk, room, work area depending on the work they need to achieve. What are the benefits of ABW? What are the disadvantages of ABW? What spaces should be created? This highly depends on the industry you work in, your company culture and the employees’ needs. Careful consideration should be given when implementing ABW to ensure it meets your business strategy. A mix of collaborative spaces with team desks, quiet concentration rooms, phone booths and meeting rooms are the most common spaces seen in ABW. 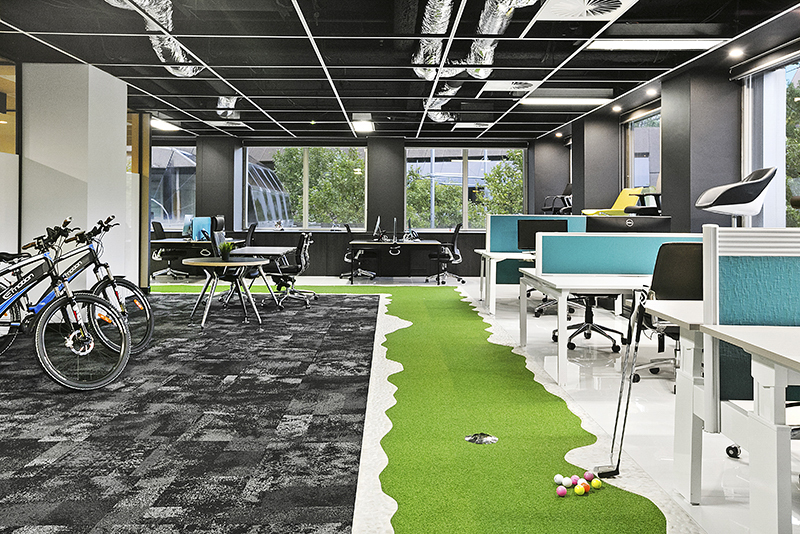 Other ideas range from leisure areas featuring table tennis and pool tables, media rooms and café style or lounge spaces encouraging impromptu and informal meetings, but there is really no limit to what you can do. It is essential to have the right technology to support this model, including a fast and secure Wi-Fi connection so that staff can access the internet from anywhere at any time, a fully mobile telephone system. Each business is unique and the reason for adopting ABW should be carefully considered. Activity Based Working presents a lot of advantages and could be the ultimate solution to providing the perfect workspace. Look at whether your current model is working, weigh up the benefits and disadvantages of Activity Based Working to help you decide whether it is the right solution for you. The truth is that most people resist change, it is therefore important to implement this new strategy in stages and to explain the reasons behind ABW and its benefits to the employees to facilitate the transition into a vastly different style. Click through our gallery below for more ABW inspiration. When designing new offices, one of the main questions concerns the office layout. The open versus closed office debate has raged over the last few years. It seems there is not a “one-size-fits-all solution” but rather a need to understand the needs and functions of employees to design a workplace that will enhance employees’ wellbeing and productivity at work. We’ve compiled a list of key advantages and disadvantages for each preference to help you weigh up the options for your organisation. Team spirit: open offices provide employees with a sense of belonging and being part of a community, improving employees’ morale and productivity. Noise: offices can become noisy and make it more difficult to concentrate and may require acoustic solutions. Today’s workplace seems to be shifting more and more towards open plan offices however this doesn’t mean that closed office plans are dead, indeed they offer many strengths. Recent research suggests that certain personality types are differently suited to closed and open planned working spaces. Additionally, certain tasks require communication while others require concentration. Therefore, some different models of office design like activity based working have become prominent as a solution to the open vs closed office dilemma. We will explore Activity Based Working in our next blog post. Stay tuned.